This flood water extraction machine is manufactured by U.S. Products, and is called the Flood King®. It was designed to be the most efficient and effective way to extract water from carpet at any water damaged facility. To increase the productivity, two diaphragm bilge pumps automatically and continuously remove the waste water from the 9 gallon recovery tank. The waste water can be pumped out through a standard 3/4" garden hose, eliminating the need the stop and empty your tank, which saves you time and labor. With a maximum output of 10.5 gallons per minute, this machine can pump out as much water as you can pick up. This new and innovative design by U.S. Products has increased the efficiency of this flood water extractor, by mounting the dual 3-stage vacuum motors at the top of the unit to increase air flow. Powerful yet efficient, the dual 3-stage vacuums only pull 13 amps of electrical power. 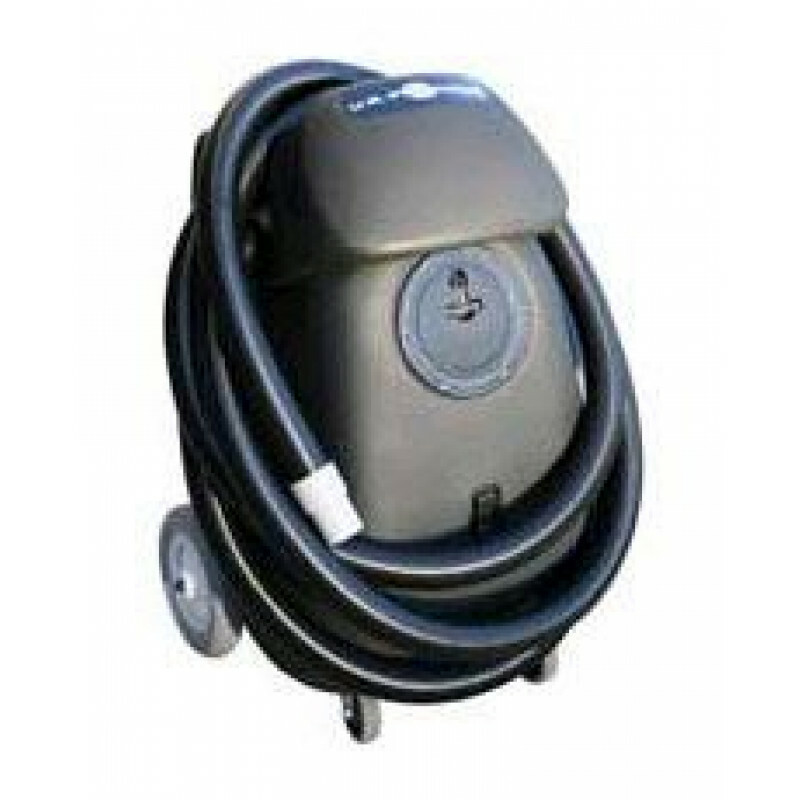 This plus the two bilge pumps are all packaged into a single power cord, which is ideal for flooded sites where power may be limited. For other options, please take a look at our complete selection of flood water extractors. Compact, upright, & durable design make it easy to transport from job to job. Dual 3-stage vacuums offer maximum water recovery power. Dual pumps offer continuous removal of water without having to stop and empty your recovery tank. Comes standard with 20 feet of 2 inch recovery hose, tools and wands are sold separately. 50' of industrial garden hose is included, giving you 75' of recovery area between your 2 hoses. Single power cord only pulls 13 amps, while powering 2 vac motors & 2 pumps. This is a review for the U.S. Products Flood Water Extraction Machine.